Garage of the Year 2018 awards evening. Automechanika Birmingham’s ‘Garage of the Year’ will be crowned at an awards dinner on 5th June, after the middle day of the trade show. The event will once again be run in partnership with Garage Wire. 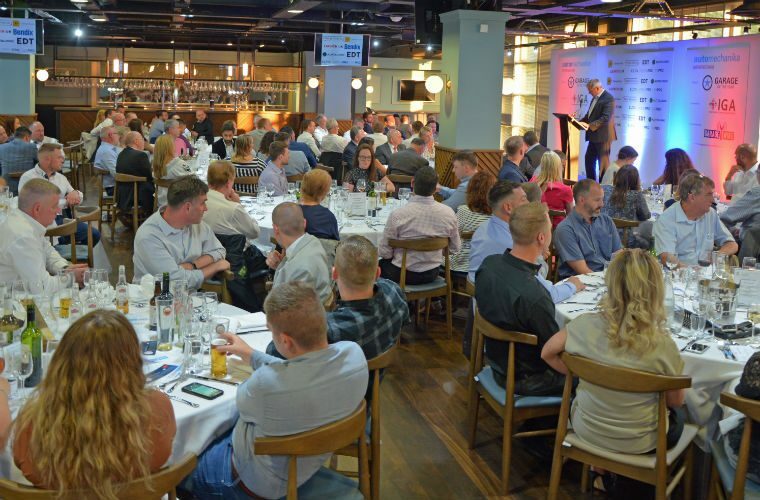 It’s the third year for the competition, with the 2019 evening event aiming to build on the success of last year’s dinner which hosted over 160 garage staff and supplier sponsors at the Directors’ Club of Aston Villa football club. The competition has been extended to cover a total of nine categories. The new categories are ‘Garage Owner of the Year’, ‘Outstanding Achievement’ and ‘Commitment to Training and Standards’ whilst ‘Best Community Initiative’, ‘Auto-mechanik of the Year’, ‘Technology Innovation’ and ‘Business Innovation’ are the remaining returning categories. The venue will be the National Motorcycle Museum, located just off the NEC site with the evening starting with drinks from 7pm after the second day of the show, making it extremely easy to attend. The Independent Garage Association (IGA) will again be the main sponsor. Chief executive at the IGA, Stuart James said: “The IGA is delighted to be the headline sponsor supporting these awards. A main prize of £1,000 and category trophies will be provided by Automechanika Birmingham. Jack Halliday, event director for Automechanika Birmingham, said: “We are confident that Automechanikas Garage of the Year 2019 will be the best yet. “It’s moved to an even better venue in the motorcycle museum, much closer to the show with more room for garages, sponsors and guests. Interested garages should look out for details of how to enter very soon. All shortlisted garages will once again receive free tickets to the dinner offering a superb opportunity to combine a relaxing evening celebrating the achievements of the independent sector with a productive visit to the Automechanika Birmingham show. Follow the ‘more details’ link below for more information about Automechanika Birmingham.